H: Do u get shy when ppl compliment u for composing music? Y: what would u do if u found out I dated? "Skills, looks, style, WINNER, a group that doesn't lack anything"
H: pls greet each other Jinwoo, Mino. you're not acquainted with e/o right? next game "no english time"
H: our chemistry is amazing! Q. can Jinwoo sing a song he enjoys listening to these days? Fan: What animal do u think u look like? M: fans always call me a bear since debut. what animal do i remind u of? Fan: can i go to your fanmeet even tho i need to study? Fan: how do u focus well? Y: do u have a question for us? fan: can i just share something with u? I gifted Jinwoo a star recently. WINNER are ppl who give me the most strength. i hope u are always happy. 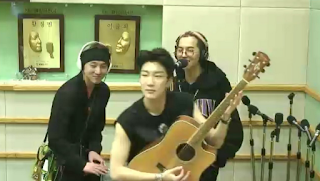 mino performing Yang Donggeun's "mirror"
H: Yoon always only looks at the script! Y: Bc YOU never look at it! 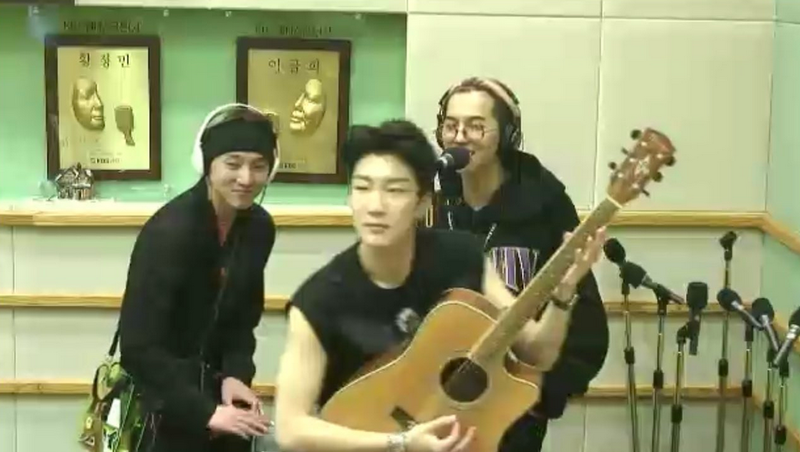 Jinwoo's mission was to have Yoon say "our compatibility is great"
Mino's mission was to have Hoon say "i feel great today"
earlier Mino said, "oh hyung, u look like u dont feel good today" to Hoon and Hoon said, "no! I feel REALLY great today!" Fan: I'm really scared of needles (she needs to get a blood test? ), how do I not get scared? H: you're going to leave the studio first but we need to stay behind to do the closing, you're going to wait for us right? Fan: What should I do to cheer myself up? Fan: What do you recommend I eat at Busan?